See what the world has to say about national nonprofit PowerMyLearning and our award-winning personalized learning platform, PowerMyLearning Connect. 03/07/2019: The Christensen Institute, Are you really personalizing learning? 01/24/2019: EdSurge, Want Students to Remember What They Learn? Have Them Teach It. 03/01/2018: Inside Philanthropy, Support by Education Funders for Family Engagement Is Growing. Why Is That? 01/11/2018: Inside Philanthropy, Is Personalized Learning the Next Big Thing in K-12 Philanthropy? 07/12/2017: Scale LA Blog, Why has tech failed to deliver to improve teaching and learning? 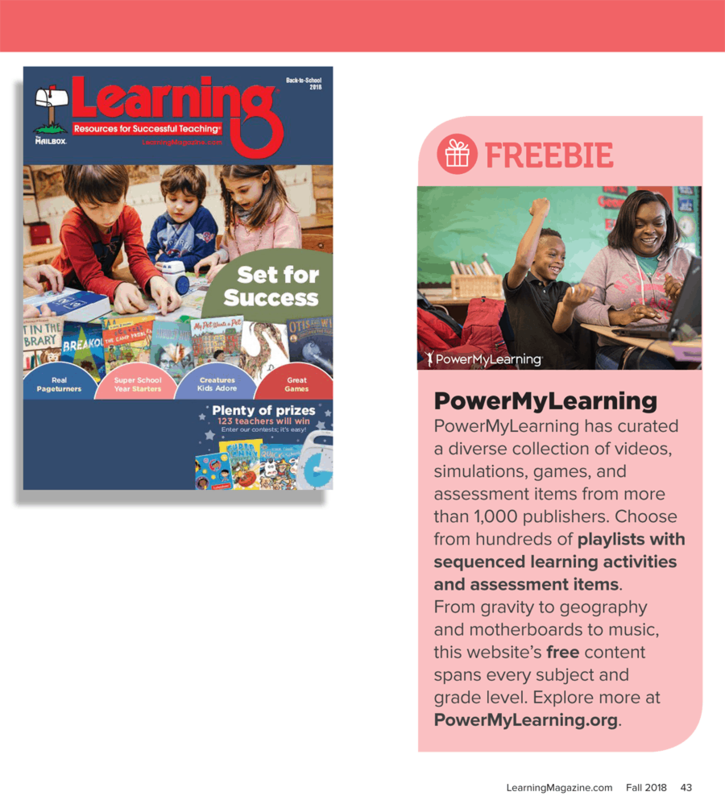 As of August 2015, CFY changed its name to PowerMyLearning and changed the name of its learning platform to PowerMyLearning Connect.